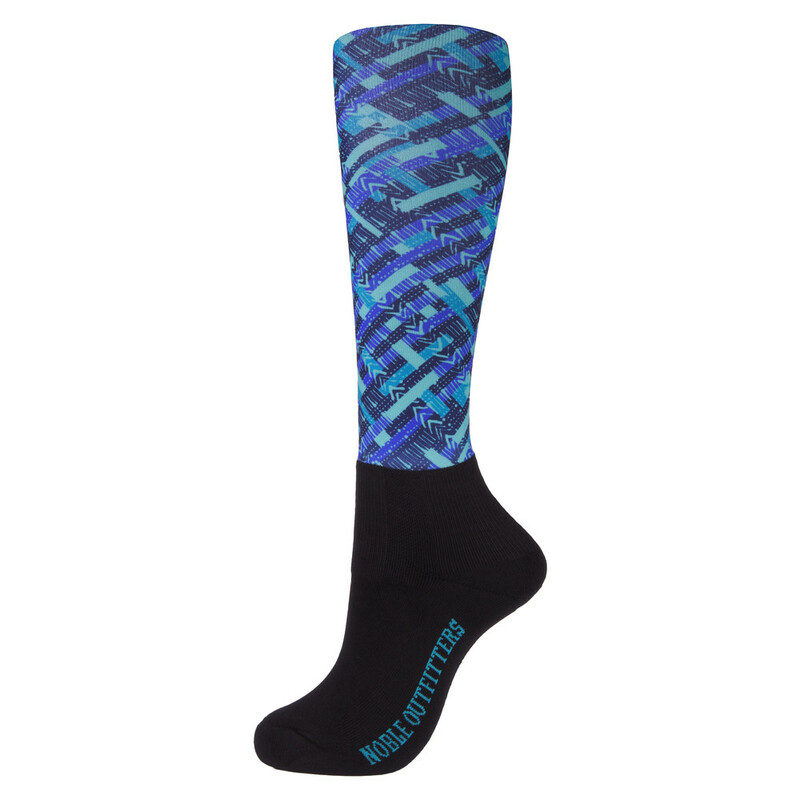 A statement sock to brighten any rider's wardrobe. Over The Calf Peddies in Mint Geo print don't just look the part - they feature cushioned padding on the foot and ankle as wells as an ultra-thin calf panel to provide optimum comfort and mobility. Nylon (56%), polyester (28%), spandex (12%) and rubber (4%) mix for superior feel and mobility. Available in UK sizes 4-8 for amazing range of choice . Innovative calf panel design - these peddies have an ultra thin calf panel that feels great when worn and allows for superb flexibility. Superior support and padding - as far as over the calf peddies go, these give the best support to your body around. Comfortable yet durable heel to toe padding means they stop any discomfort when on a long ride. Unique foot panel - the panel at the top of the foot means your feet stay healthy and happy when enjoying your next competition or ride out. Fully machine washable - our peddies are completely machine washable and will not fade over time. Amazing Opti-dry technology - this allows moisture to be drawn away when riding to stop your feet getting wet and also allowing them to breathe. Superb boot sock for riding use - the thin material around the calf makes it easy to slip your riding boots over them. 56% nylon / 28% polyester / 12% spandex / 4% rubber.